In which EU countries the house prices are even higher than in Ljubljana? 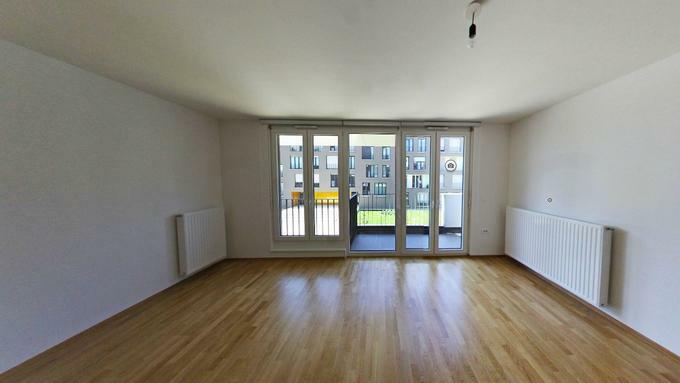 In Slovenia, you can buy a large apartment with total area of 118 m2 in a house built less than three years ago for 200,000 euros, while in Ljubljana you can purchase only 80 m2 for the same price. Slovenia therefore occupies a middle position in the list of EU member states with the most expensive housing. In the EU countries, 200 thousand euros is a fair price for an average housing with a total area of 114 m2, while in large European cities, only 90 m2 of housing are available for the same price. The most expensive housing is in the UK, where a customer on average can obtain only an apartment with a total area of 39 m2 for 200,000 euros. The Real Estate Market Analysis in the EU capitals shows that the price for residential real estate property is on average higher in the cities of the Western and Central Europe. For example, in Brussels, 200,000 euros is a price for an apartment with a total area of 69 m2, in Madrid—67 m2, in Berlin—63 m2, in Rome—58 m2, and in Amsterdam—55 m2. The amount of 200,000 euros is enough to buy a 1-bedroom apartment in Dublin (47 m2) and Munich (33 m2), as well as in Jerusalem (39 m2). The most expensive real estate is in the central part of London, where 200,000 euro will be enough to purchase only 11 m2, and in Paris— 19 m2. 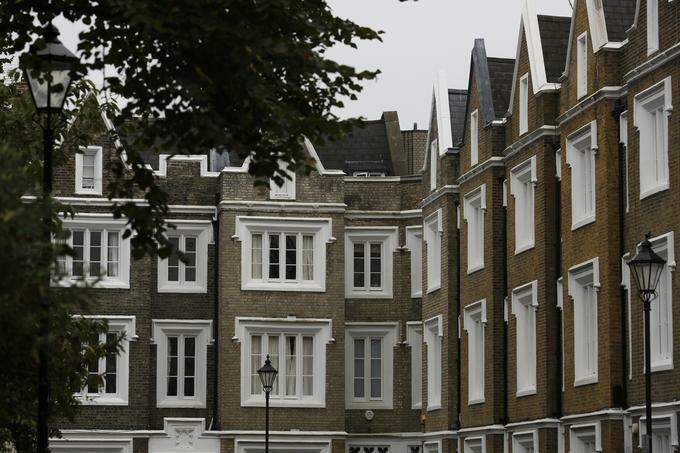 In the heart of London, 1 m2 of housing at the primary market is worth 18,000 euros. You can buy there only 11 m2 for 200,000 euros. Ljubljana with a mean value of 2,500 euros per 1 m2 at the primary market goes on a par with such cities as Graz, Tallinn, Linz, Prague, Moscow, and Birmingham. London and Paris are the leaders. Ljubljana goes on a par with Moscow. Studies show that one square meter of living space is the most expensive in London (18,000 euros) and Paris (10,700 euros). In Kranj, prices for housing are the same as in Rotterdam. Besides Ljubljana, the study also involved Maribor and Kranj. In Maribor, you will have to pay 1,550 euros per 1 m2 of residential real estate, which allows to compare it with such cities as Gdansk, Wroclaw, Poznan, and Vilnius. In Kranj, the price per one square meter is slightly higher (1,700 euros), so it is comparable with such cities as Warsaw, Valencia, Lisbon, and Rotterdam. According to the price per 1 m2 at the primary market, Slovenia is between the Czech Republic and Estonia. Average prices for residential real estate property are slightly lower at the country level. Slovenia with an average price of 1,700 euros per 1 m2 is placed between the Czech Republic (1,920 euros per 1 m2) and Estonia (1,600 euros per 1 m2). In Austria, the average price is 2,400 euros per 1 m2, and in Italy—2,300 euros per 1 m2. “According to the residential real estate value, Ljubljana refers to the “happy mean” in the EU. Given an average price for primary housing of 2,030 euros per 1 m2, in the capital of Slovenia, it is possible to purchase personal housing with a total area of 98 m2 for the sum of 200,000 euros. Residential properties built over the past three years, are on average more expensive in quadrature by 20%, while the price for 1 m2 is about 2,500 euros. That is, in the newly built houses, you can buy only 80 m2 for 200,000 euros. However, in such cases, buyers do not need to spend extra money on repairs. This applies to older houses, which require at least cosmetic repairs, and thus the overall price for housing increases. It is important to specify the currency value, because today the penalty for bank loans is extremely low. The insurance premiums for housing loans are on average a bit lower than 2%,” an expert on real estate Lan Filipich says. Most housing is currently built in Russia, Austria and France. In Slovenia, the intensity of building new residential properties with a rate of 2.9 new properties per one thousand inhabitants is close to the EU average intensity rate, which is 2.8 new properties per one thousand inhabitants. The pace of housing construction today is based on the investors projectivity manifested during the crisis period. A number of erected residential properties is still not on the market. Besides, today there is no significant expansion of the construction volumes. The countries comparable with Slovenia in this area are Ireland (2.7), which also faced a sharp rise in real estate prices, Germany (3.1), and Estonia (3.1). The highest dynamics of the new housing construction is fixed in the Russian Federation (7.6 apartments per one thousand residents), Austria (6.2), France (5.5), and Israel (5.1). On the other hand, the real estate markets of Portugal, Spain and Hungary are oversaturated, as the number of new buildings per one thousand inhabitants is less than 1. The Germans have to postpone the purchase of housing for 3 years, and Slovenes—for almost twice as long. The experts data suggest that the best ratio between the average monthly income and the price per one square meter is recorded in Germany, where to purchase an apartment with total area of 70 m2, a person needs to save up for 3.3 years. Similar results were recorded in Belgium and the Netherlands. The Slovenes will need to save up for 5.9 years for the same apartment. Ireland, Italy, and the Czech Republic demonstrate the same indicator as in Slovenia.